AirAsia X Berhad Initial Public Offering (IPO) received an overwhelming response with its public portion of 161.14 million shares. It was oversubscribed by 3.83 times. The IPO attract 38,975 applications or 575 million shares. The Institutional Price was fixed at RM1.25 per Offer Share. Accordingly, the Final IPO Price for the Retail Offering is fixed at RM1.25 per Offer Share. The difference of RM0.20 per IPO Share will be despatched to successful retail applicants within 10 market days from 24th June 2013. Kindly refer to Bursa Malaysia website. Notices of Allotment will be dispatched by post to all successful applicants on or before 10th July 2013. 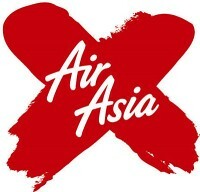 AirAsia X is expected to be listed on the Main Market of Bursa Malaysia on 10th July 2013 under stock name “AAX”.